Take your sound to the MAX with Lanzar's MAX-series subwoofers. 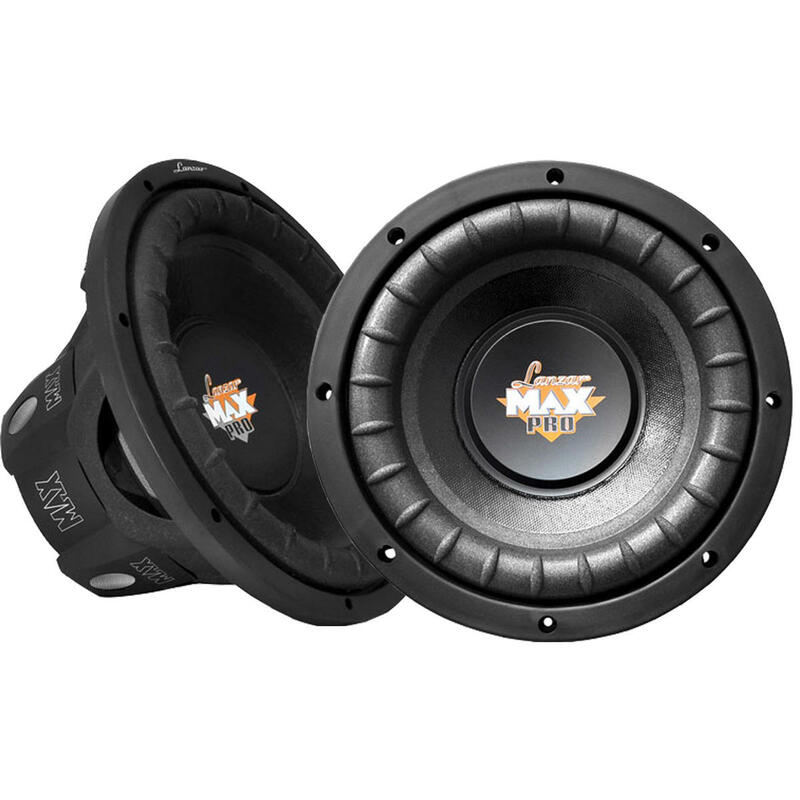 This 8' sub is specially designed to push up to 800 watts of bone-shattering bass, thanks to the 1.5 inch high-temperature aluminum voice coil and 50 oz. magnet. It all sits on a non-press paper cone with specially treated foam edge suspension for a clean, distortion-free low-end. The rubber magnet boot cover keeps your equipment safe and extends the life of the product. 4 ohm impedence. 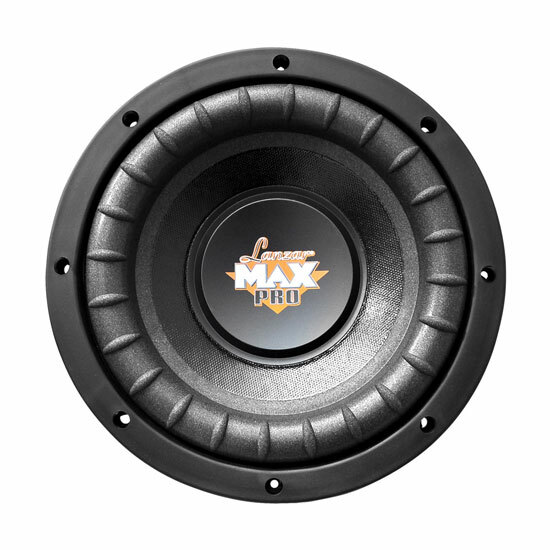 The Max 8'' Subs are built to add bass to a system without taking up masses of space or requiring huge amounts of power. The lightweight non-pressed paper cone is the lightest of materials to ensure high sensitivity and smooth sound. 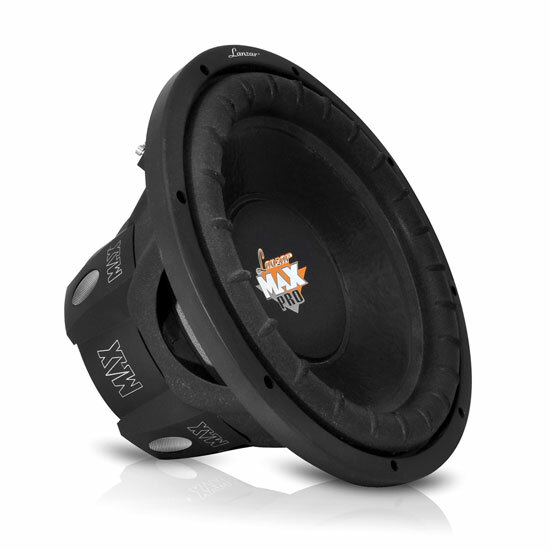 The sub itself is designed to work in a very small enclosure with a clever vented rubber protective cover for the magnet. Amp Requirements: The Single 4 Ohm Coil mean the best amp to power one of these is a small Monoblock, bridged 2 Channel Amp or the two rear channels bridged on a 4 Channel Amp. Minimum 150w RMS is advised - many people do not realise under powering a speaker will kill it very quickly! It will run very happily on 250w RMS and will take up to 400w RMS without problem.